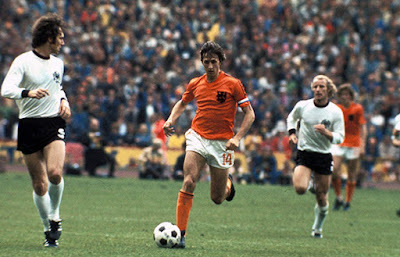 Over the course of these 50 moments, many World Cups will undoubtedly feature. There is certainly an argument to be made though, that 1974 was one of the greatest and most important of them all. Hosted by West Germany,16 teams lined up from 5 different confederations - Australia qualifying for their first ever FIFA World Cup, Zaire (DR Congo) becoming the first Sub-Saharan African team to qualify whilst England failed in their attempt to feature (Scotland representing the home nations). West German captain (Beckenbauer) and East German cpatain (Bransch) meet. The first stunning moment came in the group stages - East Germany, drawn in the same group as their Cold War rivals West Germany, pulled off an unexpected victory. 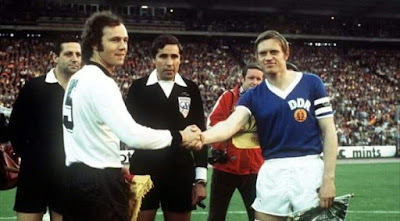 The West Germans were one of the pre-tournament favourites, featuring the likes of Paul Breitner, Gerd Müller and captain Franz Beckenbauer. The side was managed by Helmut Schön, a East German who had escaped the country to further his career and find a better life. East Germany were appearing in their first (and only ever) World Cup, playing in West Germany, representing Communism against Captialism and were the clear underdogs. That day though, would go down in East German history... in the 77th minute forward Jürgen Sparwasser scored the game's only goal and the DDR had their win. East Germany would refuse to meet West Germany in competitive football ever again and so claimed a 100% record by the time of re-unication . A big moment so far, but that is before we even mention Total Football - The Netherlands side that helped change football! Manager Rinus Michels (known as 'The General'), was architect of this revolution, declaring: "Football is war.". 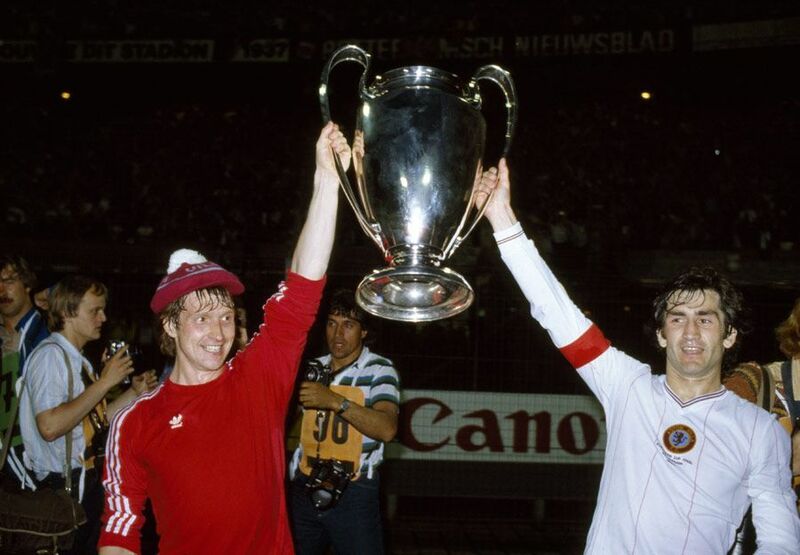 Michels started out as Ajax boss, winning the league four times and a E uropean Cup in 1971. 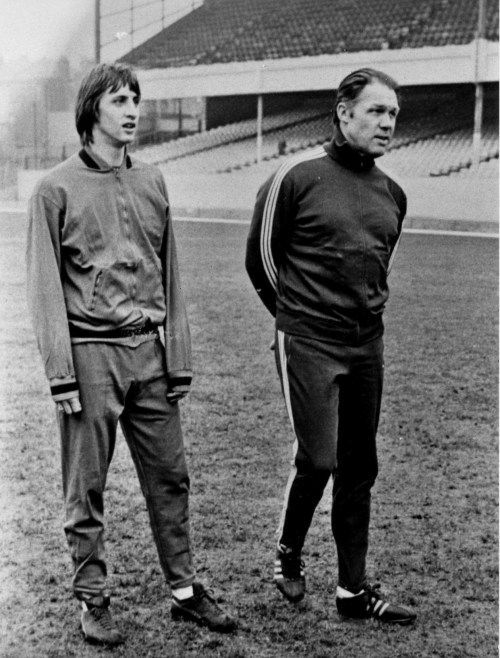 This earned him a move to Spain as Barcelona boss and he would be joined as his country's talisman Johan Cruyff at the Nou Camp in 1973. 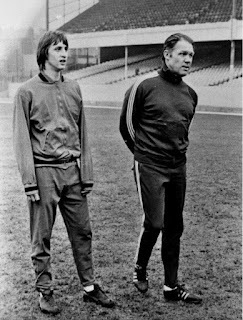 Those two together, would leave an everlasting print on the global stage at World Cup 1974, Cruyff winning the award for the competition's best player and cementing his super-stardom. UEFA sum up 'Total Football' - "The demanding 4-3-3 system that called on players of exceptional quality to interchange positions and press high up the field, and for all outfield players to be able to participate in attacks. Attack-minded full-backs roamed the flanks and even a 'flying' goalkeeper was encouraged to take part in the passage of play." This style of football helped the Dutch march through the tournament, topping their inital group with 6 goals in 3 matches. The second group stage (as was the format then) saw them win their next 3 ties against Brazil, East Germany and Argentina - the reward was a place in the Final. Meanwhile their opponents on 7 July 1974 would be West Germany. They had also stormed their second group stage, recovering from that loss to their Eastern rivals in the first stage. The well fancied West Germans v the incredibly popular Dutch. Just 2 minutes into the final and Netherlands had the lead via a penalty. However, Breitner struck back from the penalty spot too in the 25th minute. The game would be won in the 43rd minute as Gerd Müller struck the winning blow for West Germany - they were victorious in their home World Cup and had broken Dutch hearts. This is a moment spanning almost a decade of European footballing history so is absolutely worthy of its inclusion in our list. As Part 4 remembered, Real Madrid dominated the first years of the European Cup by winning it five times in a row. However, by 1977 the tournament winners had been spread throughout Europe - Spain with 6 (all Real), Italy with 4 (Milan 2, Internazionale 2), Netherlands 4 (Feyenoord 1 and Ajax 3), West Germany 3 (all Bayern Munich), Portugal 2 (both Benfica), Scotland 1 (Celtic) and England just 1 (Manchester United). 1977 though, marked a change in the tide in favour of the English, clubs from England winning 7 out of the next 8 European Cups. 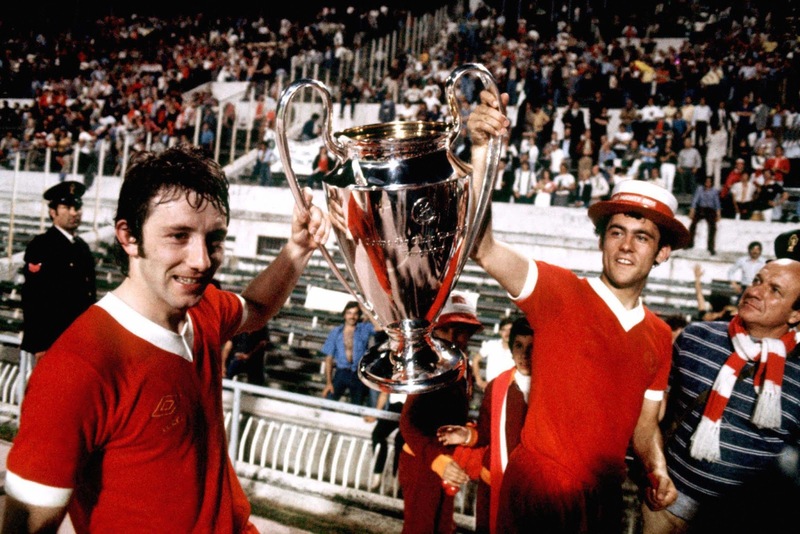 Liverpool were victorious in Rome in 1977. The first of those was Liverpool in the Stadio Olimpico in Rome. West German side Borussia Mönchengladbach were hoping to add another title to the German list of winners but the Reds stood in their way. With both sides appearing in their first European Cup final, it would be Bob Paisley's men who would lift the trophy after 90 minutes. Goals from Terry McDermott, Tommy Smith and Phil Neal sealed the 3-1 victory and saw delight Merseyside. The very next year Liverpool would again appear in the European Cup final, this time at Wembley Stadium. 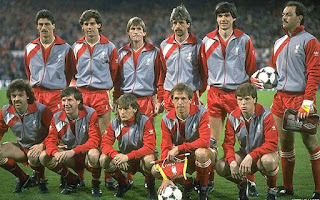 Club Brugge of Belgium were tasked with seizing the trophy from the Reds but Scotsman Kenny Dalglish sealed the match in the 64th minute. Liverpool were back to back champions! !979's final saw a different English power step up to the plate - Brian Clough's Nottingham Forest. Having beaten fellow Brits and defending champions Liverpool 2-0 on aggregate in the First Round - Olympiastadion in Munich hosted what would become the greatest day in Forest's history. Swedish team Malmö were the opponents on 30th May as Forest's team, containing just British players, won 1-0 thanks to a Trevor Francis goal in first-half injury time (incidently, Britain's first million pound player). Delirium ensued! The following year Forest were handed a fairly kind run of ties as they reached the final again. Their run saw them beat Ajax 2-1 on aggregate in the Semis in their most difficult fixture of the competition. Hamburg of Germany meanwhile, beat Real Madrid 5-1 in the second leg of their Semi-Final to win 5-3 on aggregate, denying Los Blancos a final place at their home stadium, the Santiago Bernabéu. Scottish winger John Robertson netted in the 30th minute to seal yet another English success. 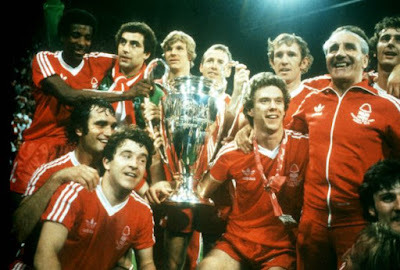 Forest, like Liverpool, had done it twice in a row! So, 4 in 4 years for the English First Division, what would 1981 hold? More of the same! This time it would be Liverpool who returned to the top of the tree. The Reds had marched easily through the earlier rounds but needed the away goals rule to see off Bayern Munich in the Semis that season. Real Madrid had this year made it to the final, bettering their finish of the previous one. However, the might of Bob Paisley's men saw them disappointed as Real continued their 15-year European Cup dry run. Left-Back Alan Kennedy's late winner secured a third throphy for Merseyside. The final British winner in this remarkable streak was Aston Villa, again the greatest night in their history. Villa faced off against European-heavyweights Bayern Munich in Rotterdam, Holland. Like the previous four finals, this game finished 1-0 with striker Peter Withe the match-winner. Europe were in the palm of England's hands! It would be Hamburg that halted this English juggernaut. The West Germans facing Juventus in 1983, Juve having put defending champions Villa out in the Quarter-Finals. Liverpool would hit back however! 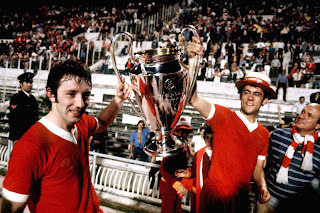 1984 saw another final for the Redmen, versus AS Roma, who were seeking a first Italian trophy since 1969. Roma had the advantage of playing at home but after the game finished 1-1 and extra time could not separate the sides, penalties would be required. Neal, Souness, Rush and Kennedy all netted and Anfield would have a familiar trophy in its cabinet. 1985 though, would bring disaster for English clubs and the footballing world... As moment 29 will expand. Our next two moments are terribly sad but very important nonetheless. 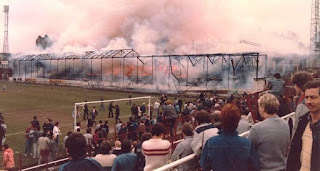 Firstly, the Bradford Stadium Fire of 1985. Bradford City played (and play) their home matches at Valley Parade. The stadium itself was opened in 1886, as the home of Manningham rugby club until 1903, when Manningham changed sports - rugby became association football and the name became Bradford City. On the 11th May 1985, Bradford hosted Lincoln City. Valley Parade was in a party atmosphere as Bradford were to be presented with the Third Division trophy. With the game at 0-0, in the 40th minute, disaster struck. A fan, believed to be an Australian visitor, tried to stub out his cigarette on the wooden planks of the stand. Unfortunately the cigarette fell through the hole in the slats to the ground below. The wood and conregated rubbish made for perfect tinder - the fire took hold. Television match commentator that day, John Helm noticed the fire building up. Fans rushed for fire extinguishers but after being unable to find any the fire brigade were called. This call happened at just 3.43pm, 3 minutes after the fire begun, but it was too late. The referee was informed and half-time was called as fans raced onto the pitch for safety. However, it was too late for 56 individuals who tragically last their lives in the ensuing inferno and choking smoke. 265 others also suffered a degree of injuries in an event that stunned the footballing world. The news report the day after the Bradford fire. The outpouring of grief was immense and the public responded. The Bradford Disaster Appeal raised over £3.5m, a campaign that included a re-match of the 1966 World Cup final with England and Germany's original line-ups turning out in support. The Popplewell Inquiry was ordered by the government to investigate safety at UK football grounds. Sadly, because English football was in the midst of its 'hooligan problem' at the time, safety fencing to separate fans from causing issues - ultimately led to some fans being trapped from escape. It was found too, that the stand in question had previously been condemned for re-development but lack of club finances had prevented this. It was the worst disaster in the history of the Football League. 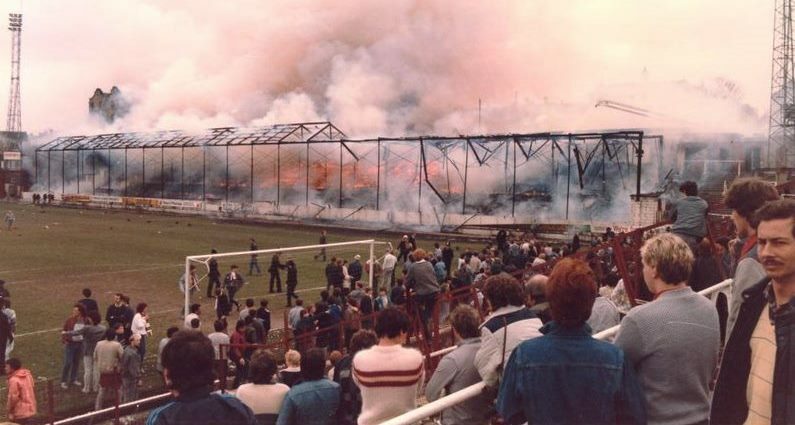 With British football stunned by what happened in Bradford on 11th May 1985, more terrible days were to come. Moment 27 recorded the dominance of English clubs in the European Cup from 1977-1984. 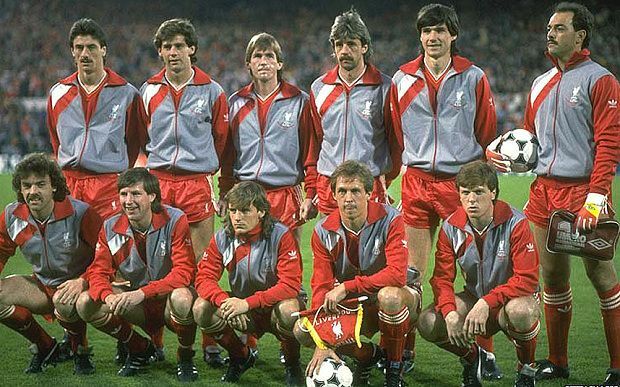 1985 had seen reigning champions Liverpool march to the final once again. Lech Poznan, Benfica, Austria Wien and Panathinaikos had been swept aside by the Reds whilst their Italian opponents Juventus had seen off Ilves, Grasshopper, Sparta Prague and Bordeaux. 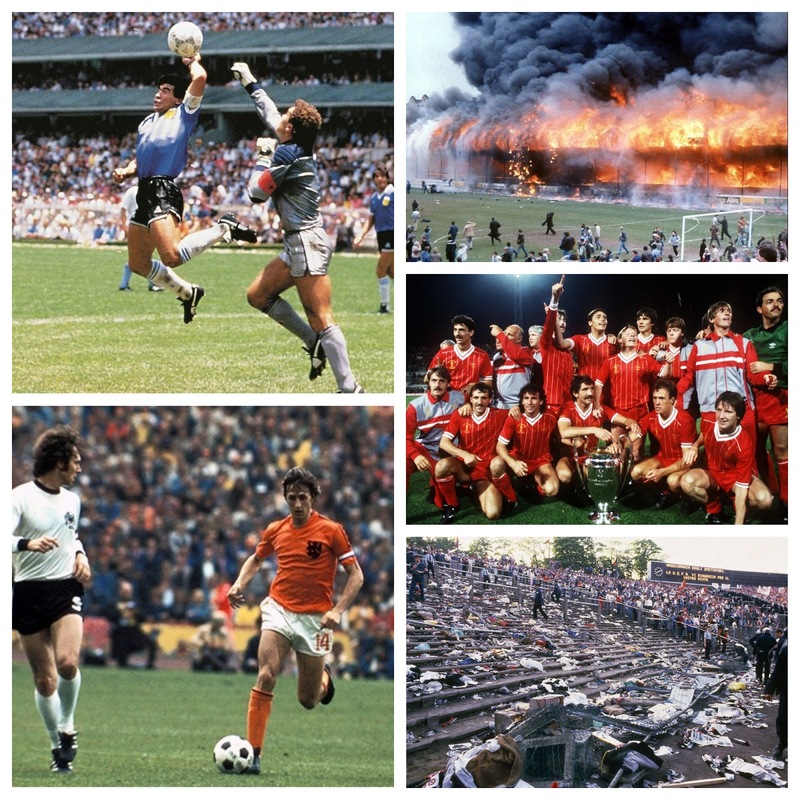 The final was to be hosted by Heysel Stadium in Brussels, Belgium on 29th May 1985 in front of 58,000 fans. The game was due to kick off at 8pm local time, but around 7pm things turned sour. Liverpool and Juventus supporters behind one of the goals, separated by the matter of a few meters and a limp, chain link fence, clashed. Stones were thrown as well as pieces of the dilapidated stand itself. The violence got more and more intense and Liverpool fans ended up in a Juventus section of the stand. The madness that this created saw a wall collapse. In the following months, many believed this wall was the cause of the deaths that Heysel saw. However, the inquest found that the wall allowed the escape of many. Sadly it was suffocation and crushing that would be the cause of the loss of life. The death toll amounted to 39 people, 32 Italians (the youngest of whom was 11), four Belgians, two French and 1 fan was Northern Ireland. Police and medical staff rushed to treat the injured it is believed that this amounted to 600+. The reaction of the Juventus fans at the other end of the pitch was to rush the Liverpool fans in anger as the emergancy services sought calm. Unbelievably, after the authorities had some level of calm, it was decided that it was better to play the European Cup final after all. This decision is a staggering one and Juventus would win the tie 1-0, Michel Platini netting a penalty to seal victory. 1985 would not be remembered for its football though - 1985 marked a year that hooliganism became the wretch of the beautiful game. The reaction was severe for English clubs. Prime Minister Margaret Thatcher sought to withdraw English clubs from European competition, but UEFA beat her to it. English clubs were banned from European football indefinitely. Clubs such as Everton, Wimbledon and Coventry City missed their chance at European Cup and Cup Winners' Cup football, whilst the likes of Southampton, Norwich City, Luton Town and Derby County missed out on their UEFA Cup spots. The ban continued until April 1990 - 90/91 being the first season to allow the re-introduction of English clubs. Liverpool had a further suspension that was lifted for the 91/92 campaign. Liverpool's 2017 memorial to Heysel outside Anfield. 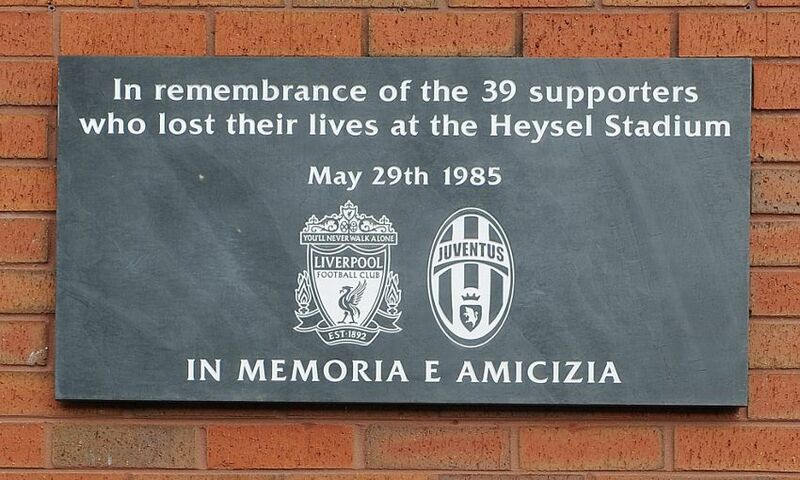 What is certain though, is Heysel changed the picture of hooliganism and European football. In September 1980 The Times' sport editor, Nicholas Keith, had written: “if we do not (do something) there is a real danger that football will die for lack of support, because only thugs will go to watch it… Football is sick, it may be terminal”. 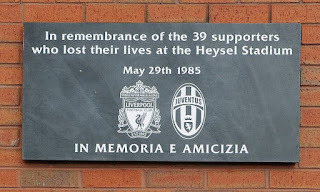 It is horrendous to think that it took the heartbreak of Heysel and the struggle of the following years, ending with Hillsborough in 1989 (more to come next time), to reclaim football for the everyday fan, not the 'thug'. This series will undoubtedly cause debates. What is the greatest moment? What is the most important moment? But I do think that this moment here though, is probably the most famous. Even those who don't profess to love the beautiful game know all about 'The Hand of God', the day in which Diego Maradona broke English hearts with two goals in the Mexico's 1986 World Cup. In 1982 Argentina and Britain had fought over the Falklands Islands in the south of the Atlantic Ocean. The British territory had long been disputed with Argentina claiming rights over it but the citizens themselves declaring their allegiance to the UK. Britain would win that war but lose 255 lives in the process, Argentina losing 649 of their men, many thousands more wounded for either nation. This tension would not have totally disappeared by the time 1986's World Cup came around, fans from both sides clashing in the streets of Mexico City before the tie. Argentina had topped their group in Mexico's Group Stage, winning twice and drawing once. England meanwhile, had come in 2nd place of their group - winning, drawing and losing once. Argentina had then seen off fellow South Americans Uruguay 1-0 in their Last 16 match, with England beating Paraguay easily, 3-0. This set up a mouth watering Quarter-Final tie: Argentina versus England. Argentina - featuring Napoli (and former Barcelona) superstar Diego Maradona as captain, England with Manchester United's Bryan Robson as their captain and led by the goals of Gary Lineker (who would finish as the Golden Boot at the end of the tournament). So to the game itself... The first-half was a fairly tight affair with England under pressure but holding out to take it to the break at 0-0. The game would come to life in the second 45 though. Firstly, in the 51st minute: Maradona picked the ball up 40 yards out in the centre of the pitch, after beating three men on his advance to the penalty area and attempting a one-two with teammate Valdano, the ball was deflected backwards and into the air by England midfielder Steve Hodge. Maradona, who had continued his run into the box, lept up with keeper Peter Shilton and seemed to beat him to the ball with his head. England were incensed and replays showed that Maradona had used his hand to 'punch' the ball into the back of the net (video above). A moment that would go down in history, with the 'little magician' saying afterwards: "a little with the head of Maradona and a little with the hand of God". Just 4 minutes later, in the 55th minute, Maradona would put the game beyond the English. The 'Goal of the Century' making this one of the most famous matches in the history of the sport. 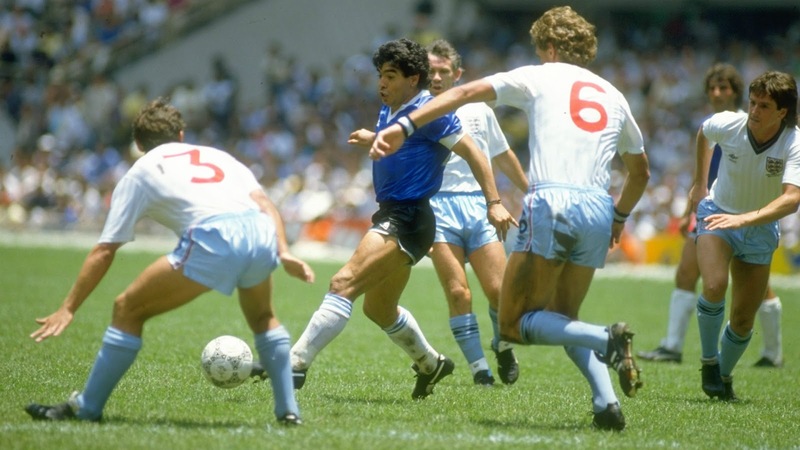 Diego Maradona picked the ball up in his own half and started his rush to goal. The 60 yards took him 10 seconds and saw him beat four men, including Terry Butcher twice! Maradona then dribbled the ball past the helpless Peter Shilton and finish off this stunning piece of artistry. I can't really do it justice so watch the video below (with superb commentary)! Lineker would net for England in the 81st minute but Argentina would take the 2-1 victory and then beat Belgium in the Semis before West Germany in the Final. Argentina were world champions, Maradona was hated by many yet adored by many more!